Ho Ke is one of our returning clients. This time, his bicycle has been parked outside. 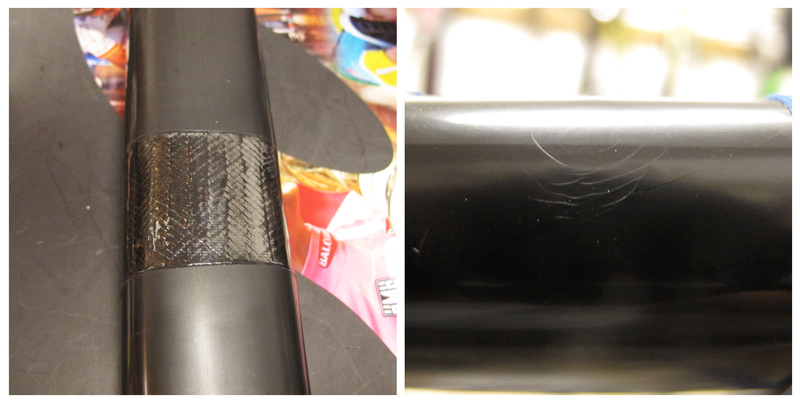 While it was resting someone dropped something on a top tube causing damage. At first time it looked like it will be not a big one, but once we started taking off a paint work, we realised that damage was much greater then it appeared on the surface. It is ready to race again. Ho Ke is taking care of it.